Not sure about what formats to pick? Our Alac and Flac files are 24bit/44.1-88.2khz audio files. The sampling and bit rates are from the original recording sessions so there was never a sampling rate conversion. The only difference is the file format: Alac plays in iTunes, for Flac you need a flac player such as the VOX player. (free in the app store) This is recording studio audio quality!! Quiet Acoustic Guitar Music. Perfect for Relaxation, Massage, Spa and Background Listening. 24bit 88.2khz Hi Resolution Apple Lossless (ALAC) Format, made directly from the studio master. Plays in iTunes. Quiet Acoustic Guitar Music. Perfect for Relaxation, Massage, Spa and Background Listening. 24bit 88.2khz Hi-Res FLAC Format made directly from the studio master. Simply pull into your favorite FLAC player. These files DO NOT play in iTunes. 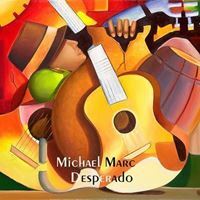 Flamenco, Blues and Smooth Jazz Guitar with Full Band. Hi Resolution (Hi-Res) 24bit 44.1khz Apple Lossless (ALAC) Format, made directly from the studio master. Plays in iTunes. 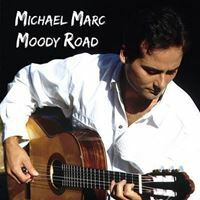 Flamenco, Blues and Smooth Jazz Guitar with Full Band. Hi-Res Audio FLAC Format made directly from the 24bit 44.1khz studio master. Simply pull into your favorite FLAC player. These files DO NOT play in iTunes. An ethereal album ft. vocals without words over complex synthesized layers. 24bit 88.2khz Hi Resolution Apple Lossless (ALAC) Format, made directly from the studio master. Plays in iTunes. Smooth Jazz Christmas Dinner Party Music Seasonal Favorites For The Holidays. Hi-Res Audio Apple Lossless Format (ALAC) made directly from the 24bit 48khz studio master. Plays directly in iTunes. 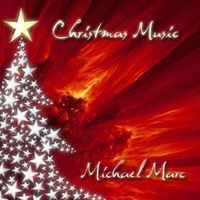 Smooth Jazz Christmas Dinner Party Music Seasonal Favorites For The Holidays. Hi-Res Audio FLAC Format made directly from the 24bit 48khz studio master. Simply pull into your favorite FLAC player. These files DO NOT play in iTunes. 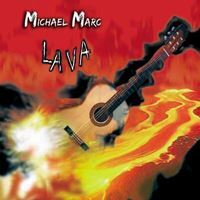 70s Classic Rock on Acoustic Guitar. 24bit 48khz Hi Resolution Apple Lossless (ALAC) Format, made directly from the studio master. Plays in iTunes. 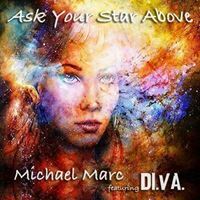 70s Classic Rock Hits on Acoustic Guitar. 24bit 48khz Hi-Res FLAC Format made directly from the studio master. Simply pull into your favorite FLAC player. These files DO NOT play in iTunes. Relaxing Massage Music for Yoga, Meditation, Studying, Stress Relief & Sleeping with Soothing Ocean Waves 24bit 88.2khz Hi Resolution Apple Lossless (ALAC) Format, made directly from the studio master. Plays in iTunes. Spa Music: Relaxing Guitar Massage Songs for Yoga, Meditation, Studying, Stress Relief & Sleeping with Soothing Ocean Waves. 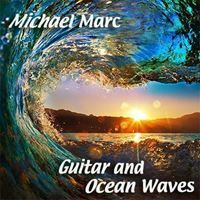 More than 90 minutes of relaxing acoustic guitar music over Miami Beach ocean waves. No loops! 24bit 88.2khz Hi Resolution Apple Lossless (ALAC) Format, made directly from the studio master. Plays in iTunes. Spa Music: Relaxing Guitar Massage Songs for Yoga, Meditation, Studying, Stress Relief & Sleeping with Soothing Ocean Waves. 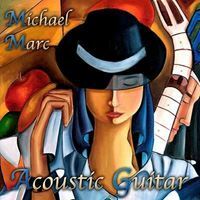 More than 90 minutes of relaxing acoustic guitar music over Miami Beach ocean waves. No loops! 24bit 88.2khz Hi Resolution FLAC Format, made directly from the studio master. 60s, 70s, 80s and 90s Classic Rock Guitar Hits. Hi Resolution 24bit 48khz Apple Lossless (ALAC) Format, made directly from the studio master. Plays in iTunes. 60s, 70s, 80s and 90s Classic Rock Guitar Hits. 24bit 48khz Hi-Res FLAC Format made directly from the studio master. Simply pull into your favorite FLAC player. These files DO NOT play in iTunes. 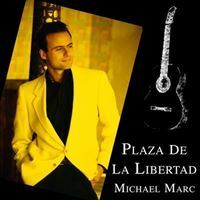 Spanish Flamenco Guitar with Latin Band. Hi Resolution 24bit 44.1khz Apple Lossless (ALAC) Format, made directly from the studio master. Plays in iTunes. Spanish Flamenco Music. Acoustic Guitar with Full Band. Hi-Res Audio FLAC Format made directly from the 24bit 44.1khz studio master. Simply pull into your favorite FLAC player. These files DO NOT play in iTunes. Quiet Acoustic Guitar Massage Music. Peaceful Spa Songs for Stress Relief & Healing. Hi-Res Audio Apple Lossless Format (ALAC) made directly from the 24bit 88.2khz studio master. Plays directly in iTunes. Quiet Acoustic Guitar Massage Music. Peaceful Spa Songs for Stress Relief & Healing. FLAC Format made directly from the 24bit 88.2khz studio master. Simply pull into your favorite FLAC player. These files DO NOT play in iTunes. Latin and Spanish Music. Acoustic Guitar with Full Band. Hi Resolution 24bit 48khz Apple Lossless (ALAC) Format, made directly from the studio master. Plays in iTunes. Latin and Spanish Music. Acoustic Guitar with Full Band. Hi-Resolution 24bit 48khz FLAC Format made directly from the studio master. Simply pull into your favorite FLAC player. These files DO NOT play in iTunes. Acoustic Classical Solo Guitar Hits. Hi-Res Audio Apple Lossless Format (ALAC) made directly from the 24bit 48khz studio master. Plays directly in iTunes. Acoustic Classical Solo Guitar Hits. Hi-Res Audio FLAC Format made directly from the 24bit 48khz studio master. Simply pull into your favorite FLAC player. These files DO NOT play in iTunes. 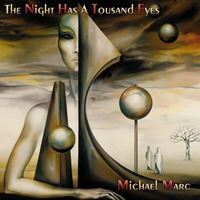 24bit 88.2khz Hi Resolution ALAC Format, made directly from the studio master. 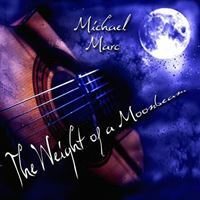 24bit 88.2khz Hi Resolution FLAC Format, made directly from the studio master. 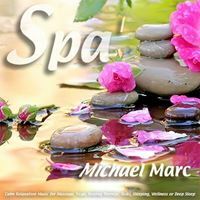 Massage Music Peaceful Spa Songs for Stress Relief & Healing. Hi-Res Audio Apple Lossless Format (ALAC) made directly from the 24bit 88.2khz studio master. Plays directly in iTunes. Spa Music for Massage, Wellness, Relaxation, Healing, Beauty, Meditation, Yoga, Deep Sleep and Well-Being. Hi-Res Audio FLAC Format made directly from the 24bit 88.2khz studio master. Simply pull into your favorite FLAC player. These files DO NOT play in iTunes. Calm Relaxation Music for Massage, Yoga, Healing Therapy, Reiki, Wellness or Deep Sleep. Hi Resolution Apple Lossless Format (alac) made directly from the 24bit 88.2khz studio master. Plays directly in iTunes. Calm Relaxation Music for Massage, Yoga, Healing Therapy, Reiki, Wellness or Deep Sleep 24bit 88.2khz Hi-Res Audio Flac Format made directly from the studio master. Simply pull into your favorite FLAC player. These files DO NOT play in iTunes. Best Spa Music for Massage Wellness & Relaxation Songs for Healing Yoga Meditation & Peaceful Sleeping. Hi-Res Audio Apple Lossless Format (ALAC) made directly from the 24bit 88.2khz studio master. Plays directly in iTunes. 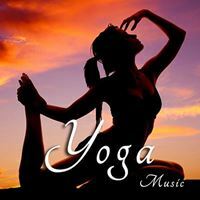 Spa Music for Massage Wellness & Relaxation Songs for Healing Yoga Meditation & Peaceful Sleeping. Hi-Res Audio FLAC Format made directly from the 24bit 88.2khz studio master. Simply pull into your favorite FLAC player. These files DO NOT play in iTunes. Quiet relaxing acoustic guitar songs for concentration, study & learning. Perfect for Studying, Relaxation and Background. Hi-Res Audio Apple Lossless Format (ALAC) made directly from the 24bit 88.2khz studio master. Plays directly in iTunes. Quiet relaxing acoustic guitar songs for concentration, study & learning. 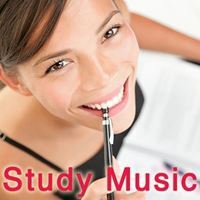 Perfect for Studying, Relaxation and Background. Hi-Res Audio FLAC Format made directly from the 24bit 88.2khz studio master. Simply pull into your favorite FLAC player. These files DO NOT play in iTunes. 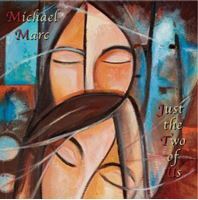 Acoustic Classical Solo Guitar Favorites. Hi Resolution 24bit 44.1khz Apple Lossless (ALAC) Format, made directly from the studio master. Plays in iTunes. 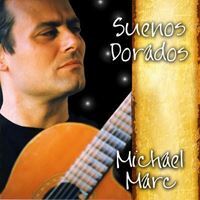 Acoustic Classical Solo Guitar Favorites. Hi-Res Audio FLAC Format made directly from the 24bit 44.1khz studio master. Simply pull into your favorite FLAC player. These files DO NOT play in iTunes. 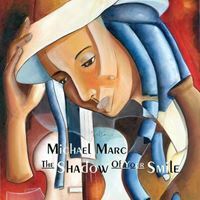 Smooth Jazz Acoustic & Electric Guitar, Flute, Saxophone, Drums & Fretless Bass. Hi Resolution 24bit 48khz Apple Lossless (ALAC) Format, made directly from the studio master. Plays in iTunes. 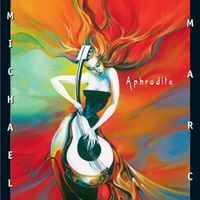 Smooth Jazz Acoustic & Electric Guitar, Flute, Saxophone, Drums & Fretless Bass. Hi-Resolution 24bit 48khz FLAC Format made directly from the studio master. Simply pull into your favorite FLAC player. These files DO NOT play in iTunes. Light Dinner Jazz Classics of the 20s, 30s, 40s, 60s and 70s arranged for Guitar. 24bit 48khz Hi-Res FLAC Format made directly from the studio master. Simply pull into your favorite FLAC player. These files DO NOT play in iTunes. Light Dinner Jazz Classics of the 20s, 30s, 40s, 60s and 70s. 24bit 48khz Hi Resolution Apple Lossless (ALAC) Format, made directly from the studio master. Plays in iTunes. Quiet relaxing acoustic guitar songs for concentration, study & learning. Perfect for Studying, Relaxation and Background Music. 24 bit 44.1khz Hi-Res Audio Apple Lossless Format (alac) made directly from the studio master. Plays in iTunes. Quiet relaxing acoustic guitar songs for concentration, study & learning. 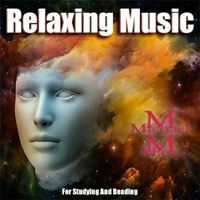 Perfect for Studying, Relaxation and Background Music. 24bit 44.1khz Hi-Res FLAC Format made directly from the studio master. Simply pull into your favorite FLAC player. These files DO NOT play in iTunes. Hits from the 40s, 50s, 60s, and 70s on Guitar. Hi-Res Audio Apple Lossless Format (ALAC) made directly from the 24bit 48khz studio master. Plays directly in iTunes. Hits from the 40s, 50s, 60s, and 70s on Guitar. Hi-Res Audio FLAC Format made directly from the 24bit 48khz studio master. Simply pull into your favorite FLAC player. These files DO NOT play in iTunes. Relaxing Music for Massage Therapy With Ocean Waves Music for Yoga, Meditation Music, Studying Music and Healing Spa Guitar Music for Sleeping. 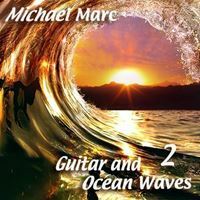 More than 70 minutes of relaxing acoustic guitar music over Miami Beach ocean waves. (No loops!!) 24bit 88.2khz Hi Resolution Apple Lossless (ALAC) Format, made directly from the studio master. Plays in iTunes. Copyright © 2019 Michael Marc. All rights reserved.